Nedaleen Anola Ford, 81 of Mt. Tabor passed away peacefully in her sleep on January 15, 2018 in Wallingford Vt. She worked at Manchester wood until leaving work to concentrate on being a mother and housewife. 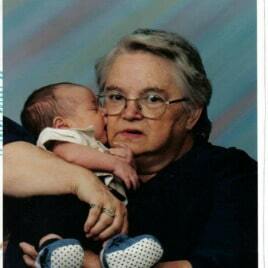 Her hobbies included bingo, flea markets, camping, fishing, spending time with her grand-kids, and her key collection. She is survived by her Daughter Margaret Zaleski a son Glenn Ford, Grandsons Richard White of Perth, NY Joshua Ford, Atrau Roberts(Ford), Dakota Ford, and Evan Ford. Grand daughters Jennifer White, Typhani Ford, Cheyenne Ford and Brianna Clayton. Great Grand kids Shania Goyette (Baker), Ana-Alisha White, Chelsea Balch, and Madison White. Great Great Grand kids Aubrey Ford, Logan White, and Hunter Baker. As well as many Nieces, Nephews, and Cousins. She was predeceased by her husband Kenneth Ford, Son Lance Ford as well as two Brothers Leo and Cecil Colvin. A burial Service will be held at a later date, and a Celebration of life will be held at the south Wallingford grange Saturday Jan 20, 2018 at 1 PM. any donations can be made to Aldous Funeral Home in memory of Nedaleen Ford. Healgrief has a memorial to share with you. https://healgrief.org/nedaleen-ford/ We invite you to express condolences, share special memories and photos and light virtual candles to honor and celebrate the life of our loved one. We also invite you to share this with others who may want to be notified as well. You may do so by sharing the link or by clicking the “Share this Memorial” button from within the memorial itself.